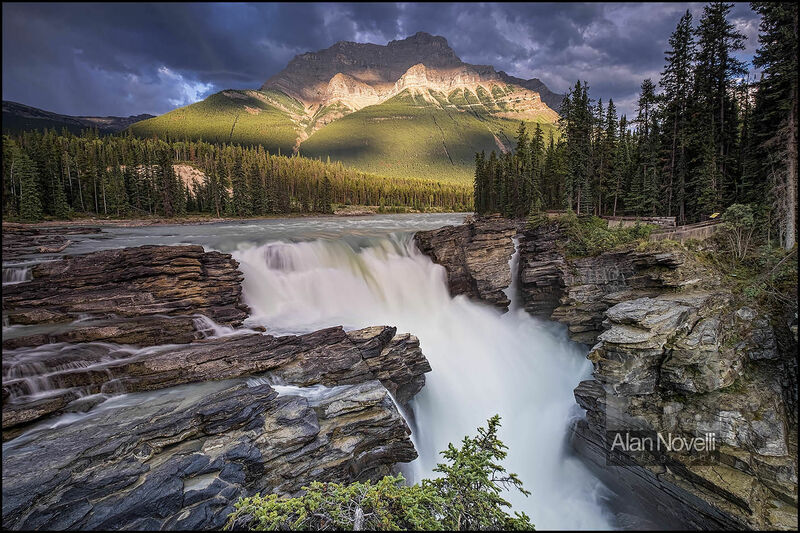 I waited for over 90 minutes for the light to illuminate Mount Kerkeslin towering over Athabasca Falls. It wasn't time wasted... how could it be looking at a scene like this and listening to the roar of the falls? As patches of light played all around me from small breaks in the cloud, I was beginning to think that my image would never come to fruition when transient light suddenly played across the slopes of the mountain - perfect!